From the Burnham Park, you can literally walk your way through major establishments like SM Accessories and Baguio wet and dry markets where you can buy everything you need. This allows you to save money and time as well. What’s more, the weather is conducive for walking so you won’t have to worry about sweating. But if you are a bit pressed for time, public transportations are available such as cabs or jeepneys that can bring you to any major places in the city. Cab fares are also cheaper compared to the ones in the metro since they don’t have to use air-conditioning. That, alone, can assure you that your transportation expenses won’t take a huge chunk out of your budget. The mountainous province of Baguio supplies most of the vegetables and fruits in Metro Manila. Fresh, crisp and tasty vegetables are literally all over the place. Some of which are lettuce, carrots, bell peppers, potatoes, broccoli, cauliflower, and many others. Of course, you cannot miss the infamous fruits like strawberries and seedless orange of Sagada. As an agricultural city, you can buy a kilo of these for PHP20–30. What’s more exciting is you can get these directly from the farms of La Trinidad valley or the strawberry farm. Though a bit far from the city, but it is worth the trip. You did not just save, you are taking control of your life by living healthy! It would not be logical at all to purchase an aircon, much less an electric fan in Baguio. Owing to its altitude, the climate of Baguio is perennially at 15 to 23 °C which is 7 to 8 degrees Celcius lower than those of the lowlands. Because of this, you would not even think of using much more to acquire a fan or aircon. Water, on the other hand, is used minimally because of the climate. A thousand peso or less is enough to settle both the monthly electric and water bills. If you are a poet and or an inspiring artist, the serenity and absence of the daily hustle of the metro in Baguio give you the space to reboot and maximize your creativity. The city is a home for notable artisans, Baguio is packed with museums and centers of handiwork like the BenCab Museum and Woodcarvers Village. There are parks like Burnham, Wright, Mines View, Peoples Park, and the Botanical Gardens to name a few that you can take a stroll in without spending a single centavo. Just walking around the city is already invigorating in itself! 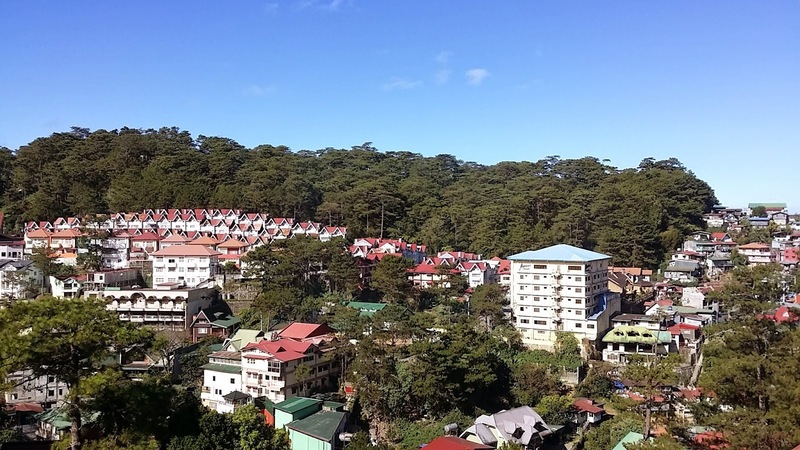 If you are convinced that Baguio living is the next big thing for you, the next step is to find a decent place of your own and a home away from home.